Portswood Teaching School Alliance (PTSA) was set up as one of the first 100 teaching schools in the country. 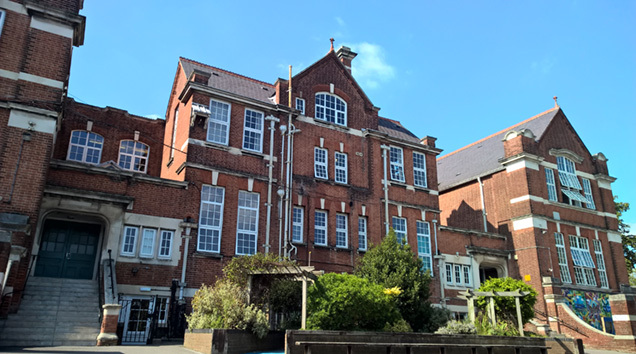 The original aim of the alliance was to encourage collegiality, excellent continuing professional development (CPD) provision, close partnership working and opportunities for clear career development to help develop and retain high-quality teachers within Southampton. The overarching aim of the Alliance is ‘Good or better learning for every child, for every lesson.’ This simple statement relies heavily upon CPD, joint practice development and a willingness from leaders to recognise and understand the importance of coaching, mentoring, support and challenge, as well as a need for routines, ritual and rigour in every aspect of developing teachers in order to develop children’s learning. Our teaching assistants take an active role in supporting CPD and many move on to our School Direct programme, which we deliver in partnership with the University of Southampton. Our first 2 School Direct cohorts have been highly successful, training 26 primary teachers and 19 secondary teachers. The third cohort will begin their training in September 2015 and will train a further 16 primary and 8 secondary teachers. The benefits of School Direct to the schools involved are enormous: it provides us with highly trained teachers, ready to begin their NQT year within alliance schools. Our primary and secondary NQT programmes attract around 100 NQTs each year and provide high-quality training, network support, visits to outstanding schools and access to gap tasks. Everything is tailored for their needs and the provision is closely linked to the teaching standards. In addition, the alliance is also a designated appropriate body for NQTs and provides a package of support for other schools with their NQTs. Over 70 NQTs attend each year and the impact has been significant: high-quality teachers are retained and are ready to commence their second year of teaching. The second year course enabled me to remember what is important about teaching. This programme was about educating and developing our thoughts about teaching, teaching techniques and our way of progressing into balanced and reflective teachers. We offer the Improving and Outstanding Teacher Programmes to help teachers advance, deepen and improve their teaching practice, helping teachers to become consistently outstanding in all their professional activities. The Outstanding Teacher Programme also helps to create opportunities for leadership and career progression. In 2014-15, 42 teachers benefitted from these programmes. The Alliance now also offers its own programme: ‘Beyond Outstanding’. The programme is geared towards those teachers who still want high quality professional development but have no desire to become middle leaders or beyond, as well as those who do. The feedback from both attendees and their headteachers has been overwhelmingly positive, with some heads feeling it has helped them to retain an outstanding teacher. Leadership development opportunities abound and many of our current leaders have moved through the programmes above and are now taking part in phase leader training, middle leader training, assistant or deputy head training or even considering becoming headteachers in their own right. The courses are designed for the alliance, by the alliance and draw upon highly skilled leaders from a variety of schools to deliver the programmes. Those taking part in the phase leader training this year valued the opportunity to build a network of support with fellow phase leaders and to get ideas and new perspectives from different schools. Assistant and deputy heads felt that their course offered them the chance to have professional discussions with staff in similar positions and learn more about the differences between leadership and management. We also hold a variety of conferences aimed at both teachers and leaders, on subjects such as leadership, inclusions, maths, and early years. In 2015 alone, over 450 delegates attended our conferences. Our 2015 leadership conference was aimed at school leadership teams – working together in partnership to develop children’s learning for life. Over 75 delegates, consisting of members of SLTs from primary and secondary schools across Southampton and Portsmouth, were privileged to hear from Professor Charles Desforges, emeritus professor at Exeter and the always-inspirational Sir John Jones. Inspirational speakers with contrasting styles but research based advice combined with passion and integrity… they have truly motivated and rejuvenated me as a leader. I will go back to school and develop parental engagement as a whole-school initiative with a shift from parenting skills to pupil achievement. At the heart of all of the alliance’s support, partnership, challenge and development is the learner: we are all the learners!